Sermon preached on Matthew 7:15-20 by Rev. 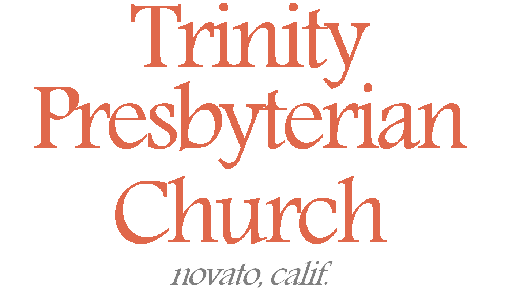 W. Reid Hankins during the Morning Worship Service at Trinity Presbyterian Church (OPC) on 10/26/2014 in Novato, CA. I am always very excited when to our vantage point God’s providence seems to work things out so perfectly. Today is the day we particularly remember the Protestant Reformation, and in God’s providence we have come in our sermon series to a very fitting passage for today. I would like to be able to take credit for this, that I planned and organized the preaching schedule in such a way. But to be frank, as the plans shaped up over the last few weeks in terms of which passages I would preach on what days, I was delighted to discover that today’s passage would fall on Reformation Sunday. Praise God for the amazing ways he orders things. You see, on Reformation Sunday, we are concerned with the reality that Christ’s church too often finds itself having false prophets and false teachers in its midst. That was the problem during the Protestant Reformation. The Roman church had begun to teach and advocate many things which were not Biblical. By the grace of God, he raised up various Protestant Reformers to speak out against these heresies. The result was a great reformation in Christ’s church. But the church was warned long before Martin Luther posted his 95 theses at the church door in Wittenberg in 1517. Today, we see that Jesus himself told his people to be on guard against false prophets. We will consider his words today, and the obvious application to us is that we need to continue to beware of false prophets rising up in the church, leading people astray and devouring them as the ravenous wolves that they are. So then, as we consider this passage, we’ll have three main points: False Prophets Defined, False Prophets Identified, and False Prophets Destroyed. Let’s begin with our first point: False Prophet Defined. Verse 15, “Beware of false prophets, who come to you in sheep’s clothing, but inwardly they are ravenous wolves.” A false prophet in general terms is someone who claims to be speaking forth God’s word but in some way or another is actually leading the people astray. We can think of this particularly in terms of their teaching, though we should also acknowledge that their actions can teach and lead people astray as well. False prophets are condemned in both Old and New Testaments for the danger they cause. They lead the people astray by claiming to be a spokesman for the one true God, when they are not. They are false teachers. They are frauds. What makes these false teachers especially dangerous is when they are the kind that Jesus describes in verse 15. The kind that come in sheep’s clothing. When a false prophet doesn’t come to the church in sheep’s clothing, they are usually not too much of a threat. If an outsider to the church begins to proclaim something to the world that is overtly not Christian and overtly not from the Bible, then most people in the church will easily dismiss such a false prophet as a false prophet. The danger is when a false prophet comes into the church and begins to infiltrate the ranks of Christ’s people. They look like a sheep. Remember, Jesus’ people are often likened to being sheep. And so this dangerous false prophet looks like someone who is supposed to be there, when really they are a ravenous wolf. And so this is the kind of false prophet Jesus is warning us about. A kind that looks like a sheep but is not. Again, this kind of false prophet is not someone who just gets up and starts speaking a bunch of things that are clearly and overtly non-Christian. No, this is the person who gets up and starts talking about Jesus. He starts quoting Bible passages. He says a lot of things that in and of themselves are biblically true. And so he draws in a following. He looks and acts biblical, at least in general. On the surface, he seems solid upon first appearances. And so they look like sheep at first. But Jesus says that if in reality they are a false prophet, then in reality, they are ravenous wolves. I would caution that such people might not even themselves realize that this is the case. In other words, the false prophet himself might have convinced himself that he is a sheep. The false prophet might genuinely think he is there helping the sheep. But Jesus says that nonetheless such a false prophet is actually a ravenous wolf. Surely the point here is that Satan in such cases has so blinded the false prophet that they don’t really realize what they are doing. They might indeed have unwittingly become a ravenous wolf. And so, if the analogy of a sheep is commonly used to describe one of God’s people, a wolf is commonly used to describe a threat to God’s people. Wolves devour and destroy the sheep. They are on the hunt to get the sheep. And so such a wolf is going to be someone who will try to injure and destroy someone in the church. Regardless of the false prophets claimed motives, if they are leading people away from sound doctrine and from Christian living, they are being a force of destruction in the church. They are not building up, but tearing down. Jesus wants us to recognize these false prophets for what they really are, and to be on guard against the danger they would otherwise cause in Christ’s church. How then will we know who these false prophets are? If they look like sheep, what can we do to identify them? Well, that is our second point: False Prophets Identified. Jesus answers this in both verses 16 and 20 by saying that you will know them by their fruits. His analogy is that good fruits are going to come from good trees, and bad fruit is going to come from bad trees. Look at the fruit of these people to determine if they are godly teachers or actually false prophets. Well, what does this mean? What does Jesus have in mind when he gets us to evaluate their fruit? Some have understood the fruit to refer to the content of their teaching and doctrine; that we need to analyze the fruit of their ministry in terms of what they teach. Some have understood the fruit to refer to their holiness of living; that if they are not someone who seeks to live Christianly, it would reveal that they are a false prophet. So, which does Jesus have in mind here? When he says that we should expose them by examining their fruit, does he have in mind their doctrine or their living? Well, I don’t see any reason to limit it. This is all a part of the fruit borne from such people. And we should examine it all. Bad fruit in either doctrine or life would be a way to identify a false prophet. Now on the one hand, I don’t want to miss the fact that every true born again believer is still a sinner. None of us is perfect. When we are born again, the Holy Spirit takes us bad trees and makes us good trees. In other words, there is a change in our core. And yet before we go to be with the Lord in heaven, that transformation has not yet been completed. James 3 talks about the hypocrisy that Christians can struggle with. James talks about the sad reality that we can still find both good and bad fruit coming from a Christian. Of course, James says that such ought not to be the case. We’ve experienced a change and we should be looking to put off all the remaining bad fruit that’s still hanging on our tree, so to speak. Since we’ve been changed on the inside, there should be real good fruit coming forth. But when we struggle in living this out, we should confess these things as sin, repent afresh of them, and turn and trust all the more in the grace of God that is held out in Jesus Christ. Now I mention this internal struggle of holiness, to acknowledge that even the most faithful teachers in the church, will have imperfections in their doctrine and life. On Reformation Sunday we get excited about people like Luther, Calvin, and Knox, but none of them were perfect in either doctrine or life either. We must account for this. And yet, nonetheless, Jesus rightly calls us to examine fruit. Jesus rightly says that for the false prophet, as much as they look like sheep on the surface, they can be discovered by an analysis of their fruit. Well, indeed this is the case. Here are some examples of analyzed fruit that would say someone is a false prophet. And to clarify, these are just examples; they are common examples of some kinds of bad fruit, but not every false prophet will necessarily fit each of these examples. But they are some examples to get you started thinking about examining fruit. One, does their teaching really only preach what people want to hear, leaving out what people don’t want to hear? Yes, they might mention Jesus and the Bible a lot, but do they preach about those things in only warm-feel-good ways? Do they actually preach about the less comfortable truths of Scripture too, such as things like sin, and hell, and the need for Christ to atone for your sins by faith? Do they call for real self-examination and to go the narrow way that is only in Christ? Do they really preach Christ and the cross which Paul says is foolishness to the Greeks and a stumbling block to the Jews? Or are they instead doing what it talks about in 2 Timothy 4, satisfying people’s itching ears by preaching in a way that appeases their sinful cravings, and leaving out the parts that might ruffle people’s feathers? If they are not preaching the whole counsel of God’s word, then the fruit of their preaching shows that they are a false prophet. I think of how in the Old Testament this was the issue with so many of their false prophets. In the words of Jeremiah 6:14, it says this about such false prophets, “They have healed the wound of my people lightly, saying, ‘Peace, peace,’ when there is no peace.” When a preacher only speaks of good things without ever any confrontation about sin and the need for repentance and forgiveness, that is a false prophet. A second example: Do their prophecies come to pass? In some sense this seems so obvious. Deuteronomy 18:22 tells us that if a prophet predicts something in the name of the Lord but it doesn’t come to pass, then this is a sure way to evaluate their fruit and see that they are a false prophet. This seems so obvious, and yet I think of recently how Harold Camping’s prophecies about the end of the world failed to come to pass, and yet there are people today who still hold to Harold Camping’s other unbiblical teachings like his heretical views on the church. A third example of fruit analysis: Do their teachings contradict earlier revelation? Deuteronomy 13 warns of a prophet that might even come giving some supposed sign or wonder, but at the same time tells you to go after other gods. That prophet is obviously giving a message that is contradictory to the previous revelation of God. God does not contradict himself. Like in 1 John, he highlights some false teaching at that time as those who taught that Jesus did not come in the flesh. That of course clearly contradicted existing revelation, and thus was not to be believed. Or in a similar way, the Scripture clearly talks about how we are justified by grace through faith; that it’s a gift of God secured by Christ. If leaders in the church later come and say that in order for your sins to be fully absolved you need to do something, or pay some indulgence, then that is contradicting the earlier revelation of God. Such fruit would show itself to be the work of a false prophet. A fourth example: Does the living of the teacher show forth a godliness that is in line with the Scriptures? If they are not bearing the fruit of the spirit of love, joy, peace, patience, etc, then have they known the Lord? If they don’t live as those seeking to put off the old man, to make a break from living as the world does, then have the known the Lord? If there is no evidence of a lively repentance, then have they known the Lord? This will surely ultimately come across in their preaching by not preaching about repentance and sanctification. Sometimes we refer to this as the heresy of antinomianism or easy believism. It too is part of the analysis of their fruit that we must do. Another way to think about this is to remember that the Scripture says that a qualification for being an elder in the church is that they are above reproach. If they are not, then they should not be official teachers in the church. One final example that I will mention, though surely others could be said: Do these false teachers advocate separating from the church? Presuming the church is being faithful to Word of God, then people should not be leading an exodus out of the church. Yet, too often that’s what false prophets ultimately do. They start within a church, and lead people out of the visible church to some cult. In 1 John 2:19, John talks about this. He says that antichrists in his day had come and led people out of the church. He says that by their leaving the church it showed that they were not really of the church. This fruit ultimately exposed their true identity. And so these are some examples of the kinds of fruit to look for when it comes to identifying false prophets. Note that the fruit, of course, is only the symptom of the real root problem. Bad fruit comes from bad trees. The problem with these false prophets is that at the core they are evil. At the core, at their hearts, they have never been born again. They don’t really know the Lord. As soon as we recognize that as the key issue, I hope we will pause and think soberly of ourselves for a moment. If the problem with these false prophets is a heart problem, then we should be able to relate. Each of us was born with a depraved heart that needed to be born again. We’ve each needed the Spirit to work inside us, to renew our hearts and enlighten our minds in Christ. As we recognize that the problems with these false prophets is a heart one, then we realize how we’ve needed the Spirit to soften our own hearts. In other words, as we recognize that we are in a different place spiritually than these false prophets, it should not be a cause for pride, but in humility should drive us back to thankfulness to God in saving us from our own hardened hearts. This is important for us especially as we come to our third point. Our third point is False Prophets Destroyed. Verse 19, “Every tree that does not bear good fruit is cut down and thrown into the fire.” This is that uncomfortable part of Scripture. If you have not been saved by Christ, then there is a judgment coming. These fruitless false prophets have the eternal lake of fire in their future. God will bring judgment upon them, unless they repent of their sins and turn in faith to Christ. And again, as we apply this to ourselves, we rejoice knowing that this is what we ourselves have been saved from. And so in our third point, I want us to recognize that this is the final outcome of these false prophets. They will be destroyed. They will be clearly identified by the Lord on the final day of judgment as evil trees bearing evil fruit, and they’ll be cast into the place of eternal torment and punishment. And so, this is their eternal judgment. It has an application in the here and now. As the church, Jesus tells us to “beware” these false prophets. We are to watch out for them. As we come to identify them by their fruit, the fact of their impending final judgment should inform the way we treat them. Through the government of the church, we should warn them, and if they will not repent, we should remove them from the church. We should not give any them venue to continue their false leadership in the church. Of course, we should hope and pray for their souls that they would ultimately repent and be restored as members in the church. But that fact that Jesus tells us to beware of them, means we must act in accordance with the seriousness of their sin. So then, brothers and sisters, be encouraged today with the sure words of the true prophet of all prophets, the Lord Jesus Christ. Jesus has not spoken to us peace where there is no peace. He has not tried to heal the wound lightly. Rather, he came with a bold message that men everywhere need to repent of their sins. He came saying that man’s best righteousness will not get him into the kingdom of heaven. And yet, this true prophet did provide for a way of peace. And this true prophet did provide a healing for our wounds. Isaiah 53:5, “But he was pierced for our transgressions, he was crushed for our iniquities; the punishment that brought us peace was upon him, and by his wounds we are healed.” Jesus took serious our wounds. He did not apply some light healing to them. He instead went to the cross and suffered the wrath of God in our place. That we would be healed. That he could speak a peace to us that we really would have. And now as this true prophet, he also warns us of the false prophets. Here we see that our Lord is also that Good Shepherd who protects the sheep from the wolves. As someone who truly knows the Lord, be assured today of his protection. His words today are not meant to “spook” us, looking for wolves behind every bush. But they should instill in us that we need to keep looking to our Good Shepherd to protect us. Let us look to learn his voice better. Let us look to trust in his shepherding all the more. Let us realize that he speaks to us and shepherds us through the Word of God. And let us then, confident of his protection, respond to his warning. Trusting in his guarding, let us beware of the false prophets. Trusting in his guarding, may we believe that he will enable us to analyze the fruit of them that we would not be deceived. Seek to grow in analyzing fruit biblically, and as you do, trust in your Shepherd, that true prophet, to be teaching you and growing you. Look to grow through that Word both as you individually study it. And look to grow through those the teachers and pastors that he has given to the church as a blessing, as they open up the Word. And to that end, pray for your pastor! And pray for the church leadership as a whole. As we celebrate the Protestant Reformation today, we are reminded of the ongoing reality of today’s passage. These verses weren’t just given for back then, or back in 1517. There is a continual need today to be on guard against the errors that would try to come up in the church. Today there are many threats coming up from within Christendom on the church. Many threats. We have to be ready to speak to the issues of our day. We need to look to be ever reforming in the church according to the Word. We need to seek to be ever enduring in the truth, and seeking his refining in that truth. Let us then go now to the Lord and pray for his help in this regard. Amen. I have a question. If it was custom that no one go into a tomb especially Jesus’ for no reason and death was the penalty, why did Mary go to the tomb with species to anoint Jesus body? Did she not know she would not be able to get in? Debra, sorry for the delay in approving and replying to your comment. Somehow it got overlooked previously. At any rate, to answer your question: Normally, people could have visited a tomb. Jesus’ situation was unique per Matthew 27:62-66. The Jewish leaders specifically worked with Pilate to have the Roman guard posted and the tomb secured with a seal. This was not an ordinary practice. Thus, presumably the women were not aware of this when they went to anoint Jesus’ body.